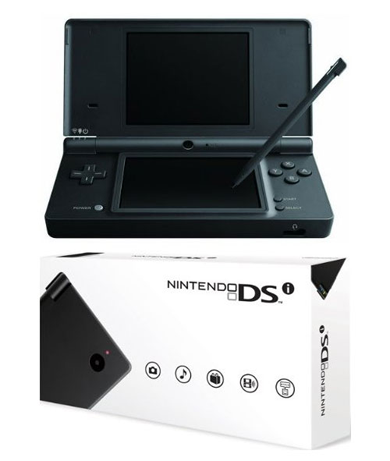 The Nintendo DSi has been released a few months back, but I haven’t had the urge to buy one since I already have a DS Lite, and there are no new games in the market that utilize the new features. 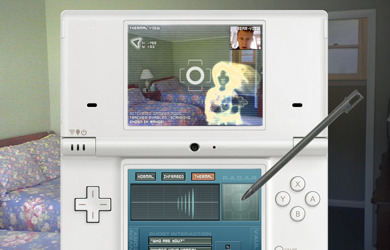 Ghostwire is an augmented-reality game that let’s you hunt ghosts using your Nintendo DSi. Your portable device is used as a portal to the astral plane, and helps you find and collect ghosts that exist all around you. In your quest you use real tools, such as the built-in camera and microphone, as well as abstract ones like an “EMF tuner” for tracking down the ghosts. As far as I can see, this is just motion-tracking with a layer of ghost images for you to ‘interact’ with. But since it promises full-game immersion, it’s a good reason to buy the DSi soon. It reminds me of the game Fatal Frame, with the main difference of holding the ‘camera’ and hunt the ghosts yourself to zero in on that ‘fatal frame’ shot.